It’s pretty obvious that toddlers and infants alike enjoy themselves immensely when baby music is played and sung to them. And when they start to speak and sing along too, then the fun quadruples for everyone involved—because honestly, even as adults, you’ve got to admit that it’s hilarious fun to sing along with your children’s favorite songs. The even greater thing about baby music sing-a-longs is that they offer a multitude of benefits for strengthening and developing your child’s mind. Only the best toys for babies can be fun and beneficial! Research shows that when children engage in musical activities, including simply listening to music, it involves their brain at nearly every level. The more infants and toddlers are exposed to music, the more that their verbal, spatial and emotional intelligence increases. In addition, their coordination and body movement improves. Another pretty obvious benefit is that their vocabulary acquisition skills will be greater than children who don’t listen to baby music or participate in sing-a-longs. When children are exposed to all types of music earlier in life, they will be better at singing in tune and recognizing rhythm and beat. An added bonus is that they’ll also have a stronger ability to understand music theory and possibly play musical instruments—in other words, you could be grooming a baby Mozart! What’s phenomenal about singing along to your children’s favorite songs or musical baby books is that these activities feel like play to both children and parents, but are truly helping to develop children’s minds and de-stress mom and dad. So that clearly sets playthings involving music apart from the rest, making them some of the best toys for babies. Incorporate music whenever you can, during bath time, meals, playtime and in the car—and, of course, the time-honored tradition of lulling children to sleep. Have you ever been on a road trip or family vacation that was plagued by your antsy toddler or baby that cried incessantly? While we all love our children to death, when you are trying to decompress it can be frustrating when you’re unable to soothe your child or lull them to sleep. However, there are some productive measures you can take to calm your little ones and create a more relaxed atmosphere for everyone. If you’re looking for an example one of these techniques that is super easy to implement, simply pop in a baby DVD! player, your child can view musical programming on an iPad or laptop. Ahh, the benefits of cutting-edge technology! One of the most interesting children’s songs that is actually an all-time favorite is Pop Goes the Weasel. While the majority of children and adults have heard this song and know it by heart, most people don’t know the history of this funny tune. In fact, when we did a survey to find out who knew what this tune was about, most thought it originated at a sports event. Wrong! This song, which is included in many CD compilations and DVDs with baby music to this day, originated in Britain back in the 1700s. This nursery rhyme became a music-hall ditty for a lengthy period of time—something few children’s songs can claim—and later became the theme of a popular game children’s game in the 19th century. Considering the fact that this song has transcended centuries and is still ubiquitous on both CDs and DVDs with baby music, it’s safe to say that it’s an all-time historical favorite. It’s that time of year again—the period during which we resolve to lose weight, save money and live life to the fullest. Yet how does your baby benefit from this time of year? While infants and toddlers are too young to make their own New Year’s resolutions, the good news is, you can focus on a few ways to boost their development. A fun and extremely beneficial way is through the use of baby music! We know that music affects a child’s mental, physical, social and emotional growth; something few toys can do on their own. Why not come up with some ways to integrate music into family’s activities and to spice up ordinary activities, such as bath time or meals? The great thing about children’s music is that it’s very low cost, and sometimes even free. How hard is it to sing a song to your child or along with them? It makes for a fun and bonding experience that de-stresses the adults involved as well. 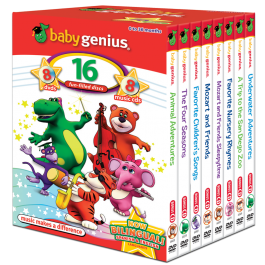 Incorporating songs and children's music into your infant or toddler’s life is also as easy as popping in a baby DVD or CD for them to watch or listen to. Watch what happens—they’ll be wiggling around in no time, giggling and smiling to no end. Plus, they’ll simultaneously be improving and developing their coordination, vocabulary, language skills and rhythm—all of which will benefit their academic learning. 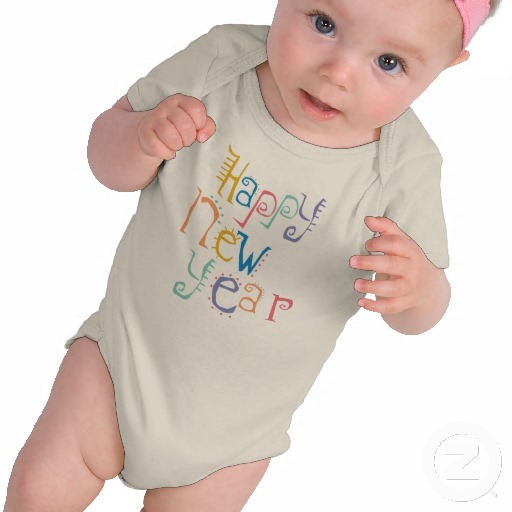 In our next post, we’ll pose some ideas for resolutions involving the use of baby music. In the meantime, come up with some ideas of your own and send them to us. We love hearing the different ways that parents everywhere augment their children’s learning and development. Christmas melodies are a favorite when it comes to children’s songs. In past weeks, we covered some of the all-time traditional favorites that appear on everything from DVDs with baby music to CDs for adults. As one last hurrah for the holiday season, here are a few ditties that we think should, at the very least, get an honorable mention. Grandma Got Run Over By a Reindeer. Who doesn’t love this song? Recorded in 1979 by Randy Brooks, this is one of the youngest holiday children’s songs when it comes to those that are considered traditional or classic. It’s lighthearted melody and comedic lyrics bring laughter to all those that hear it and sing along with it. I Saw Mommy Kissing Santa Claus. It’s no surprise that this fun-filled song was first recorded by a child, Jimmy Boyd, who was 13 when it was performed in 1952. The song could only be sung properly by a child if you think about it—it tells the tale of a young boy who sees his mother kissing his Santa Claus on Christmas Eve. Little does he know that “Santa” is actually his own father, dressed up to deliver his children’s gifts. Here Comes Santa Claus. Originally performed by Gene Autry in 1946, this is another favorite that’s been included on Christmas compilation CDs, DVDs with baby music and even films. Autry also wrote the song, apparently inspired after appearing in a Christmas parade. The idea germinated after he kept hearing people say “Here comes Santa Claus” when the parade passed.